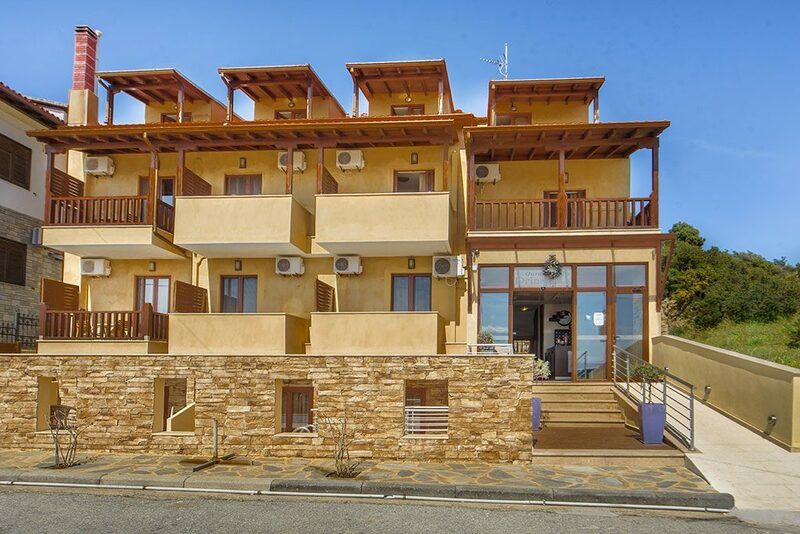 Ouranoupolis Princess is a newly built accommodation, located at the entrance of the small picturesque fishing village of Ouranoupoli, at the roots of Mount Athos. It features on-site swimming pool and breakfast room, used also as a cafe during the evenings. It is found 500 meters from the center of Ouranoupoli and the pilgrim’s office which issued the diamonitirion for Mount Athos and 100 meters from the beach. The nearest restaurant and mini market is just at a 100 metres walking distance. Ouranoupolis Princess offers single, double and triple rooms, all with bathroom, free (WiFi), telephone, satellite TV, air conditioning, hair dryer, SAFE and refrigerator. Most of the rooms have balconies. There are rooms without balcony in the attic and others with view to the sea or mountain. Wireless internet is available in public areas and is free of charge. Free public parking is possible at a location nearby.